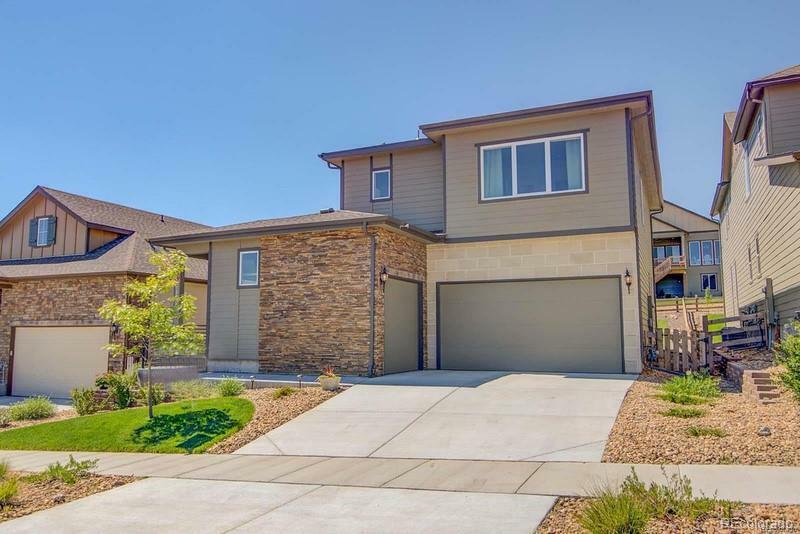 STUNNING 2-story, single-family home in desirable Arvada neighborhood! Located just a 10-minute drive to both Boulder and Golden, your future home offers an in-law/nanny suite, and luxury living without luxury Boulder prices! Upgraded floor plan with formal Dining Room, Family Room with 2-story ceiling and gas fireplace, and gourmet Kitchen. Kitchen features granite-slab countertops, decorative glass tile backsplash, stainless-steel appliances, oversized island with seating x6, and a large casual dining area. Upper level retreat offers 4 Bedrooms and a Loftloft is perfect for movie night, or a kids playroom. Master Suite features luxury spa bathroom with free standing soaking tub, and walk-in closet. Guest suite is perfect for in-law/nanny quarters, or a private study-with full bathroom! Enjoy outdoor living with professionally-landscaped yard and covered patio! Great Home! Walk to schools and Rec Centers! Call now to schedule your personal showing!